An easy blueberry muffin recipe should be part of everyone's collection. 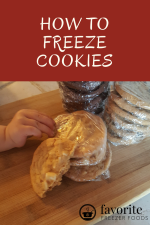 Fast to make, easy to freeze ahead for grab and go breakfasts or snacks, and a healthier way to indulge a sweet tooth than a candy bar, what's not to love? Preheat the oven to 400 F/ 200 C. Grease and lightly flour a muffin pan or line it with paper liners. Mix together the dry ingredient in a large bowl. Measure the oil then the milk, use the same measuring cup to break and beat the egg. Mix everything together just enough to combine, some lumps are OK.
Measure the blueberries and add them to the batter, folding them in gently. Pour batter into the muffins tins about 3/4's full. Use 1/2 whole wheat flour instead of only all purpose white flour. Substitute some pureed fruit, like mashed bananas or applesauce for all or part of the oil. Have a bit of protein, like a few almonds, to keep yourself feeling fuller longer when you eat these. The batter could be frozen ahead in muffin cups and baked later but I usually just freeze the baked muffins. Let muffins cool on a wire rack and then place in a freezer bag. Label, add to your freezer inventory sheet. 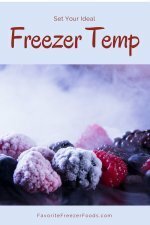 These can be thawed in the fridge or at room temperature for a few hours. You could also pop them in the microwave for a minute or in a warm (350 F/ 180 C) oven for 5 minutes or until warmed through. Return from Easy Blueberry Muffin Recipe to the homepage of Favorite Freezer Foods.